Is your diet helping or hurting your teeth? 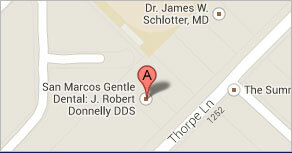 Learn links between cavities and what we consume from San Marcos dentist, Dr. J. Robert Donnelly. Dental cavities are no joke. 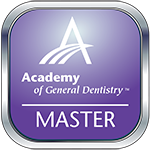 The National Center for Health Statistics finds that 27 percent of American adults have unresolved decay, and decay leads to tooth loss and spread of unhealthy bacteria throughout the body. Dr. J. Robert Donnelly, San Marcos dentist, urges vigilant preventive care at home and at San Marcos Gentle Dental to ward off this all too common oral health threat. A cavity is basically a hole in the outer mineral matrix dentists call enamel. As the oral bacteria contained in biofilm, the sticky plaque left on teeth from what we put into our mouths, secretes acid, enamel wears away, creating a cavity. Deeper cavities go into the inner dentin and even the soft pulp chambers that contain blood vessels, nerves and connective tissue. Left unattended, toothache and abscess may result, necessitating fillings, root canal therapy or even extraction. Your New Braunfels dentist tells his patients that sugar and carbohydrates contribute to tooth decay. As children, we all learned that eating too much candy and drinking sugary soda causes cavities. But, did you know that starchy foods such as white breads, pasta, and cereal foster plaque build-up? So, does frequent snacking throughout the day without benefit of brushing and flossing. Additionally, inadequate hydration causes a dental condition called xerostomia. In ordinary language, this is dry mouth, or insufficient saliva production. Drinking lots of water throughout the day washes food particles and plaque off teeth and from interdental spaces. It also stimulates salivary glands to produce the watery fluid called saliva. This, too, is a natural tooth washer and helps neutralize acids contained in foods and secreted by oral bacteria. Another culprit in tooth decay and enamel erosion is acidic foods. Tomatoes, citrus fruits, soda pop and even certain fruit and vegetable juices and juice blends contain high levels of destructive acid. Limit candy, soda pop and other very sugary foods. As an occasional treat, they are OK.
Increase the amount of high fiber breads, low-fat meats and low-fat, high-calcium dairy in your diet. These strengthen tooth enamel and help keep it clean. Eat fibrous fruits and green veggies. Drink at least 8 8-ounce glasses of water daily to hydrate oral tissues, stimulate saliva and keep teeth clean. Chew sugarless gum, with xylitol, to inhibit bacterial growth and reduce acidity in the mouth. Dr. Donnelly and his associate Kyle dentist, Dr. Gregory Wang, recommend you brush your teeth twice daily with fluoride toothpaste. Also, floss each day. Then, come to San Marcos Dental twice a year for routine check-ups and professional cleanings to catch problems at their earliest and to keep remove plaque and tartar your brush misses. Contact the friendly office team today for an appointment, and ask about our current promotions.